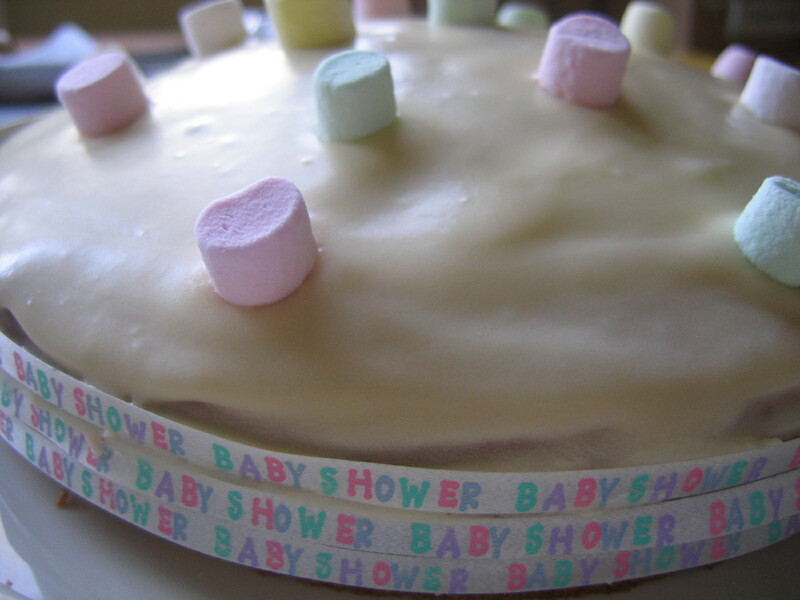 I made a cake for my dear friend Stephanie’s Baby Shower this weekend. She’s gluten intolerant so I admit I cheated and used a gluten free packet mix. 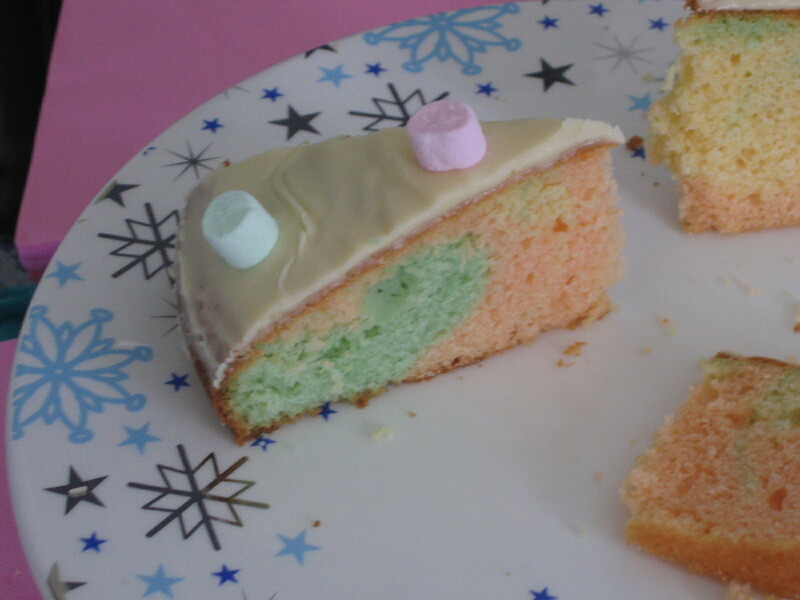 The cake itself was nothing to write home about taste-wise, but I’m a bit pleased with the cutesy way it turned out.